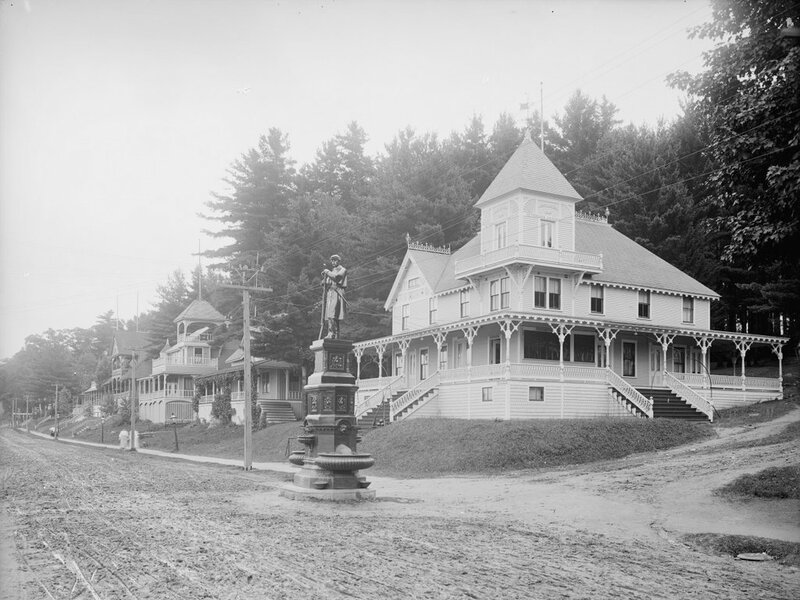 The Veterans’ Association buildings along Lakeside Avenue in Weirs Beach, around 1900-1906. Image courtesy of the Library of Congress, Detroit Publishing Company Collection. 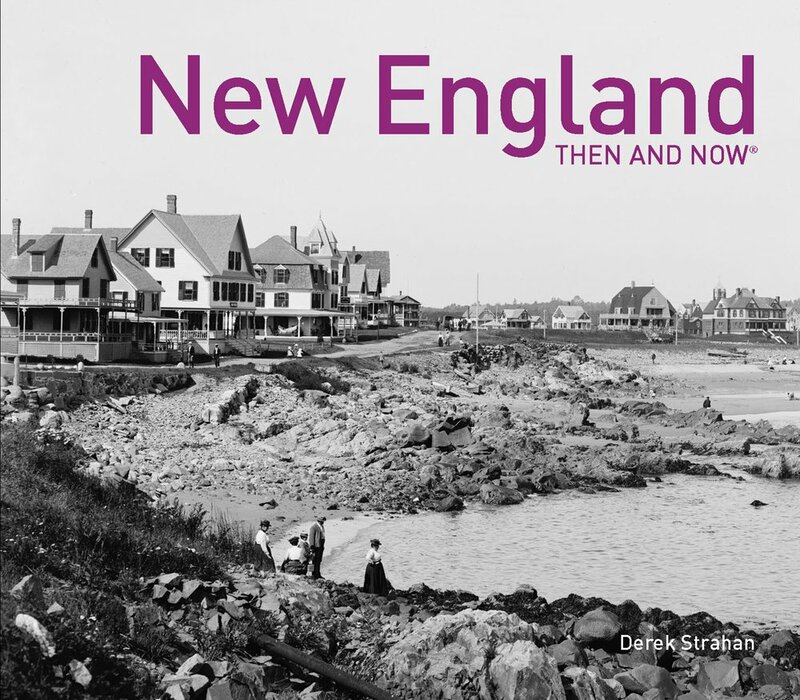 As mentioned in the previous post, Weirs Beach became the annual meeting place for New Hampshire’s Civil War veterans, who established the New Hampshire Veterans’ Association. Beginning in the 1870s, the organization held its annual reunions here, and over time the different regiments built their own buildings for their members to stay in. Many of these buildings fronted present-day Lakeside Avenue, as seen in the first photo. Starting in the foreground is the Headquarters, located at the corner of New Hampshire Avenue, followed by the 3rd Regiment, 7th Regiment, 9th & 11th Regiments, and the Cavalry Headquarters. 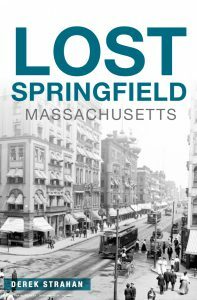 All of these buildings were built between 1885 and 1888, and all survive except for the 3rd Regiment Building, which was lost in the same 1924 fire that destroyed the New Hotel Weirs. The only other significant loss from the first photo is the statue, which was dedicated in 1894 and destroyed by lightning in 1931. 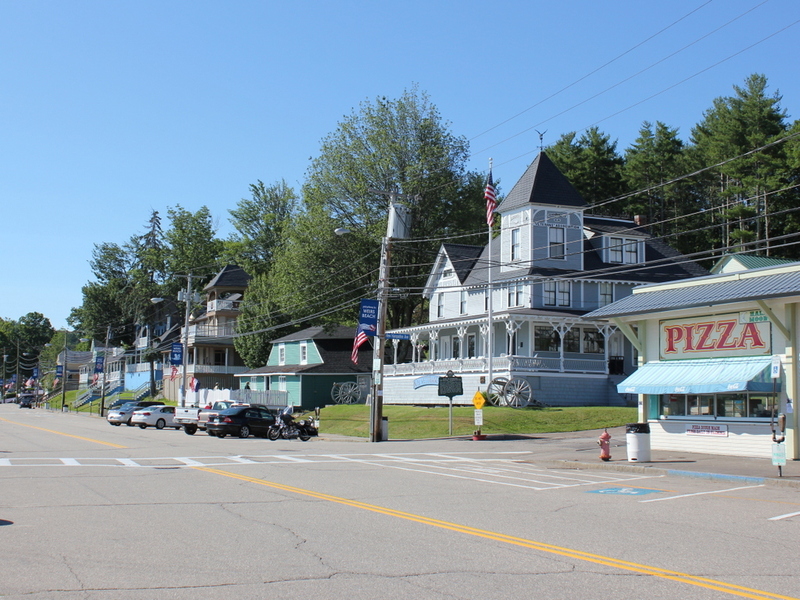 Today, the property is still owned by the New Hampshire Veterans’ Association, and although many other buildings on the site have since been destroyed or demolished, the view along Lakeside Avenue still looks a lot like how it did over a century ago.